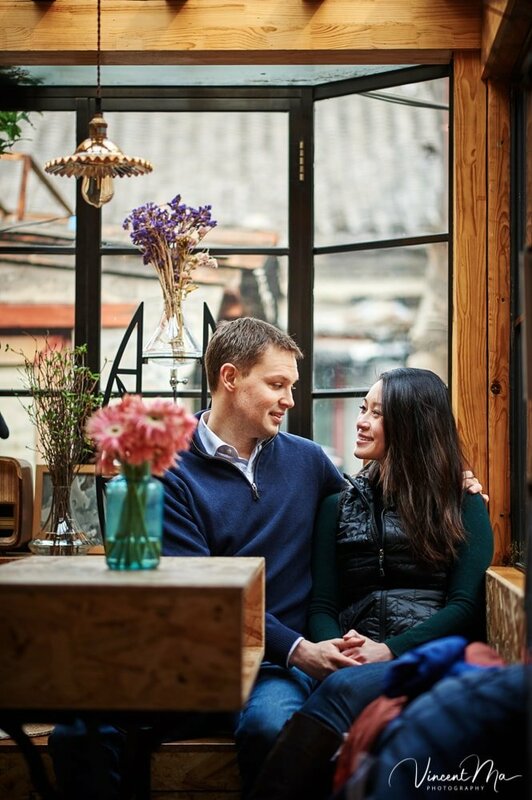 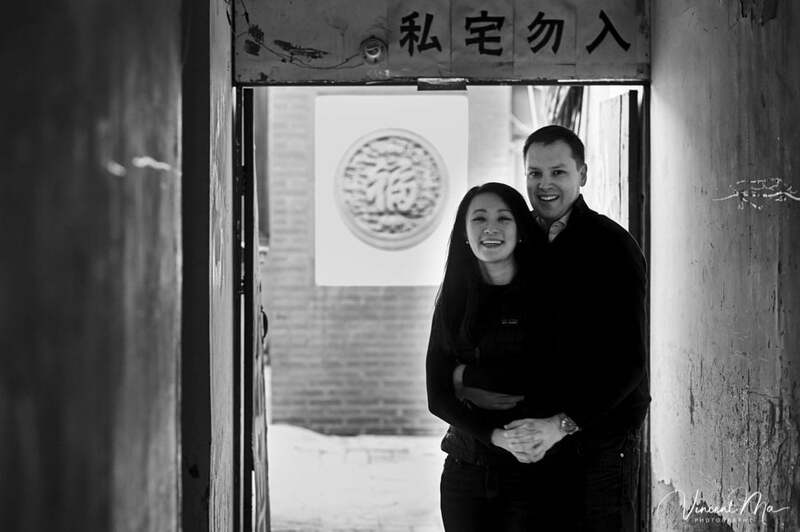 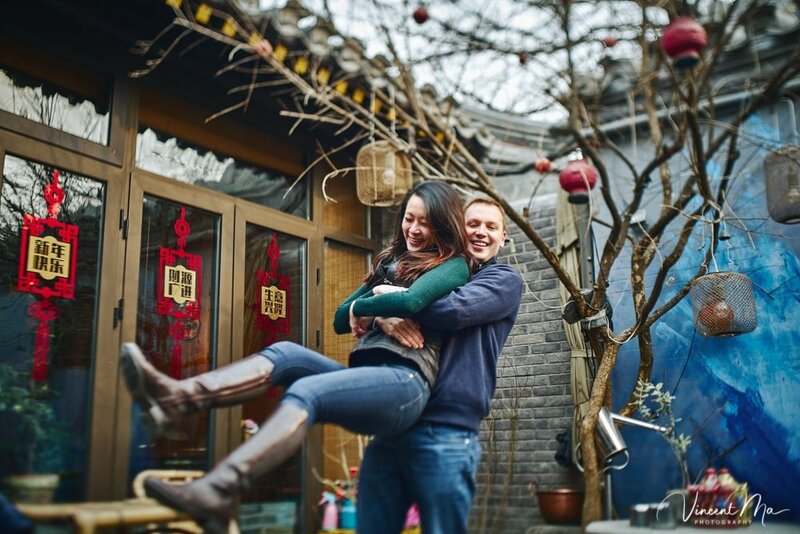 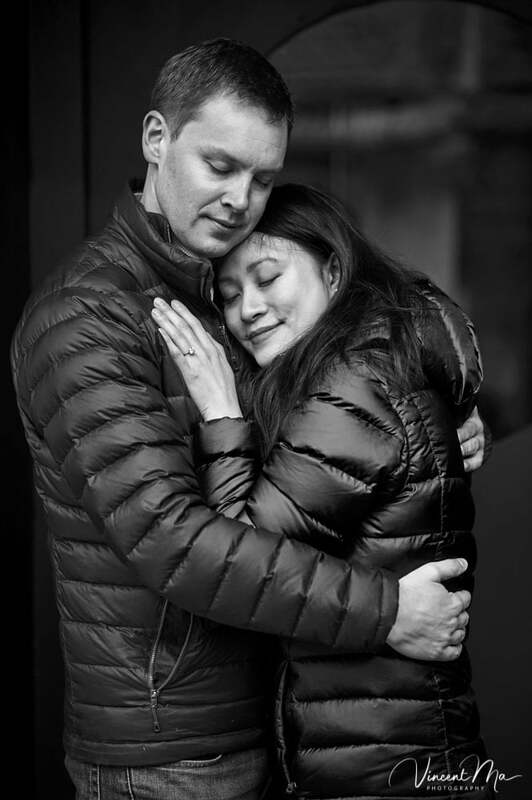 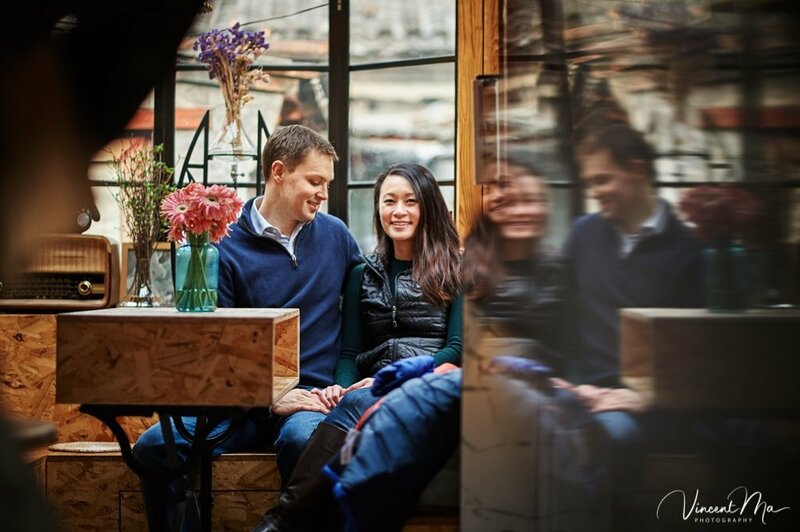 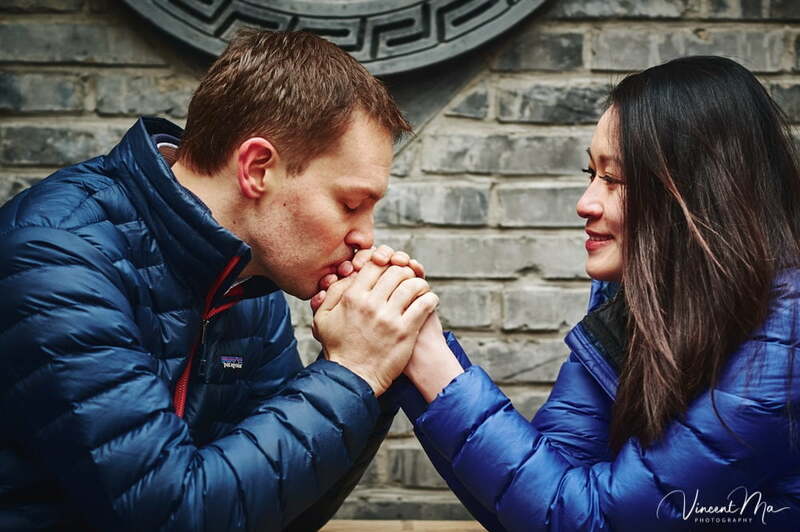 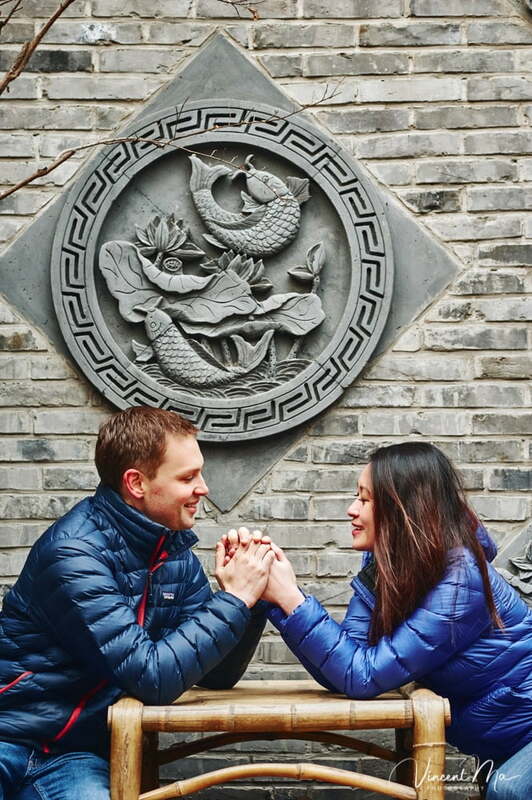 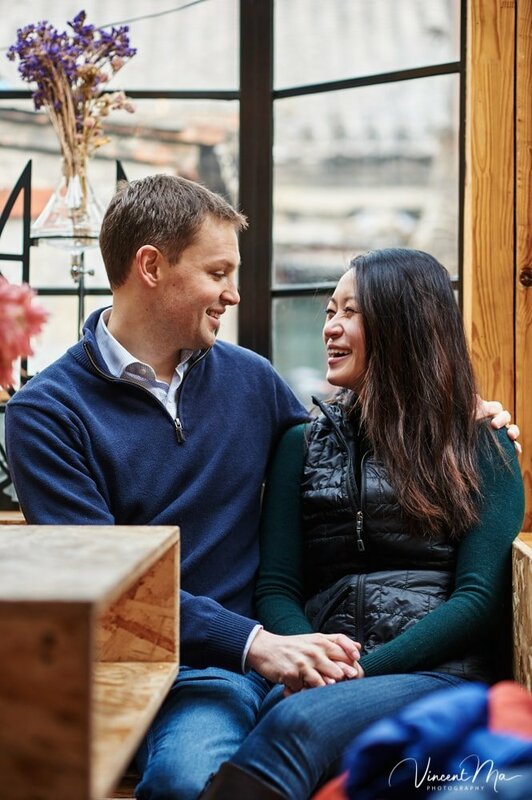 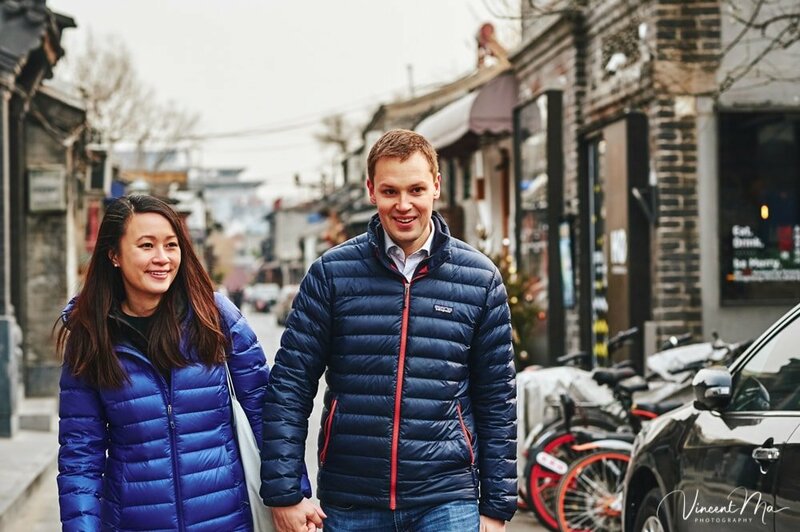 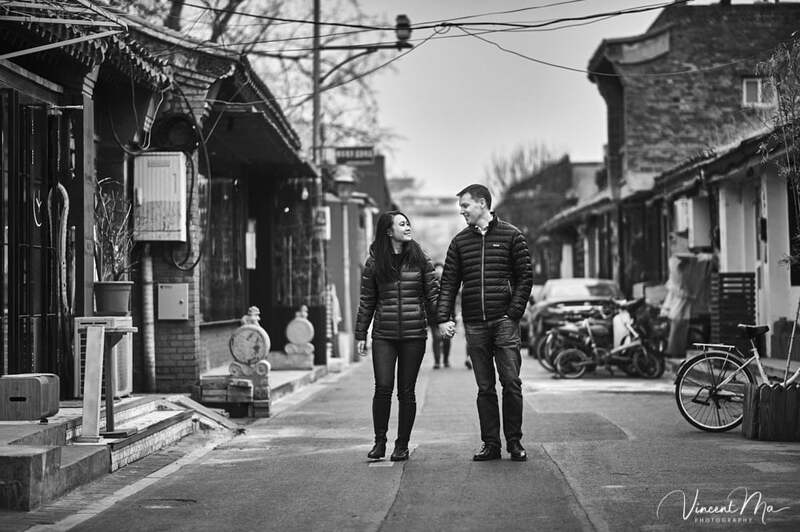 Thao and Brendan love Beijing very much, they’d like to preserve the memory of Beijing hutong before their leaving for another city. 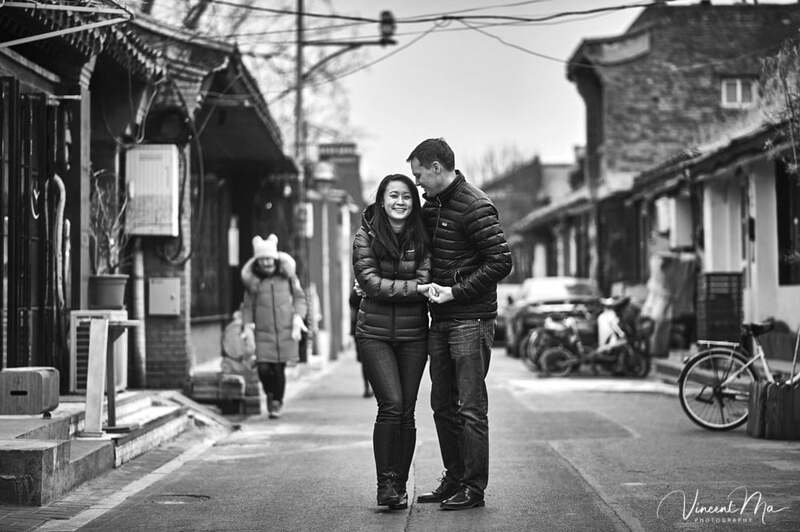 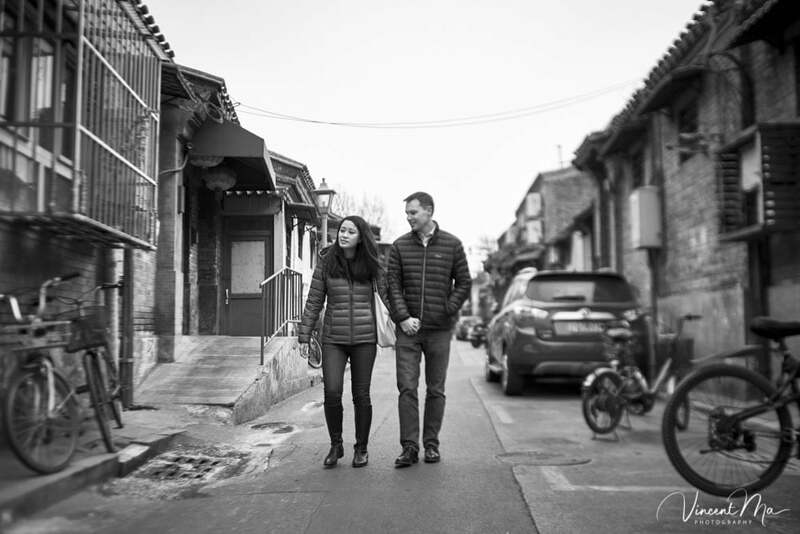 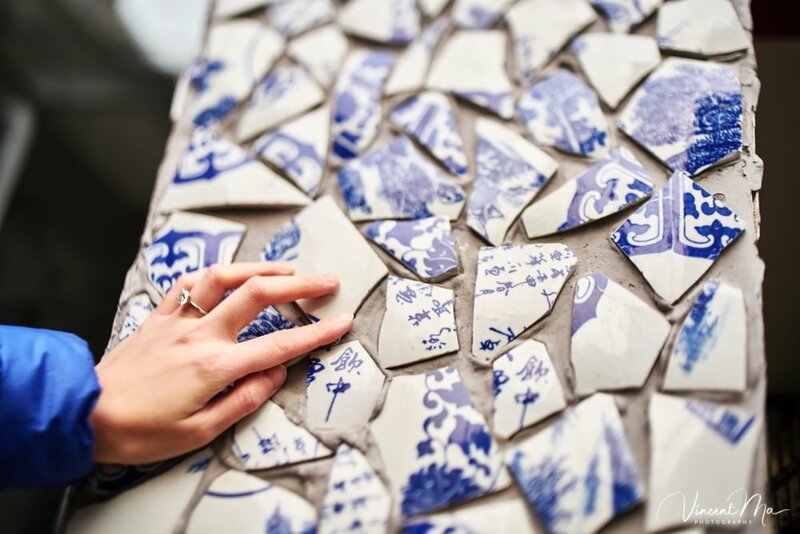 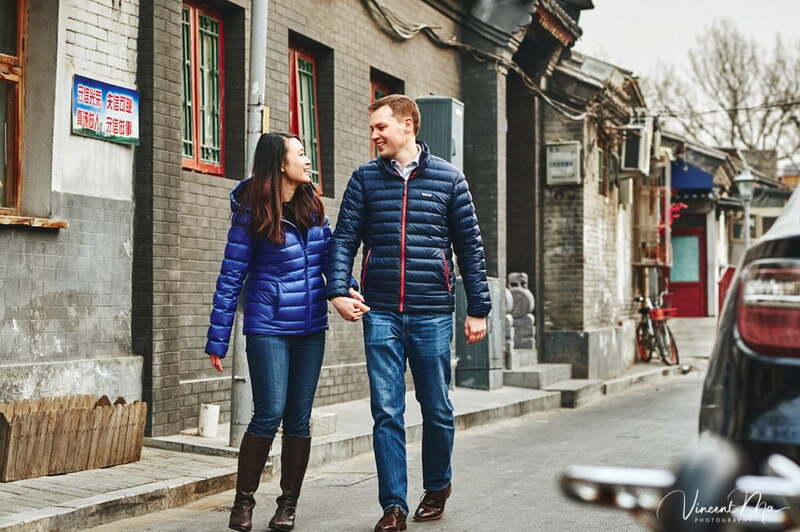 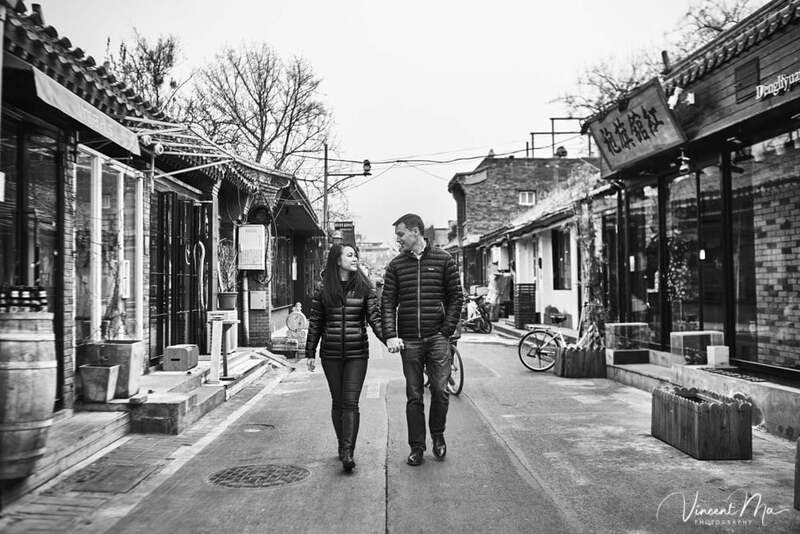 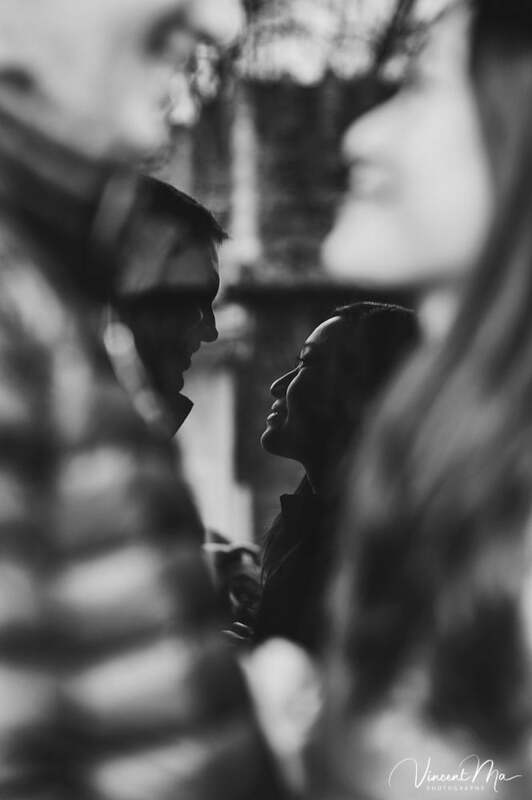 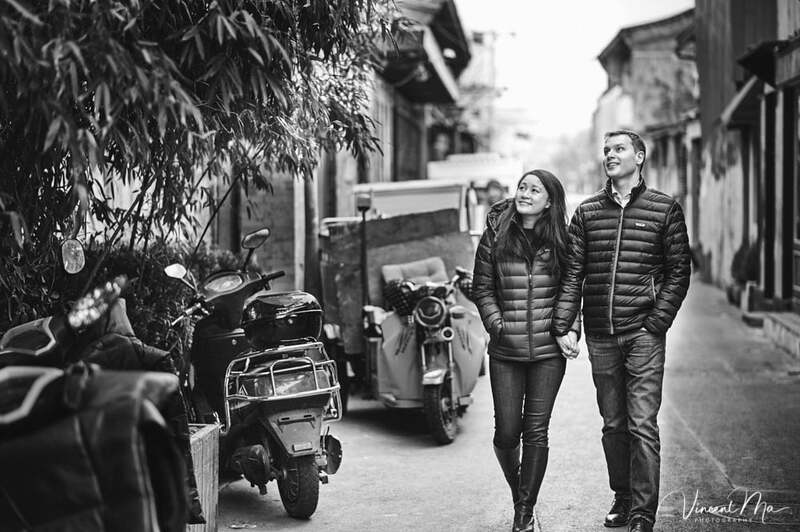 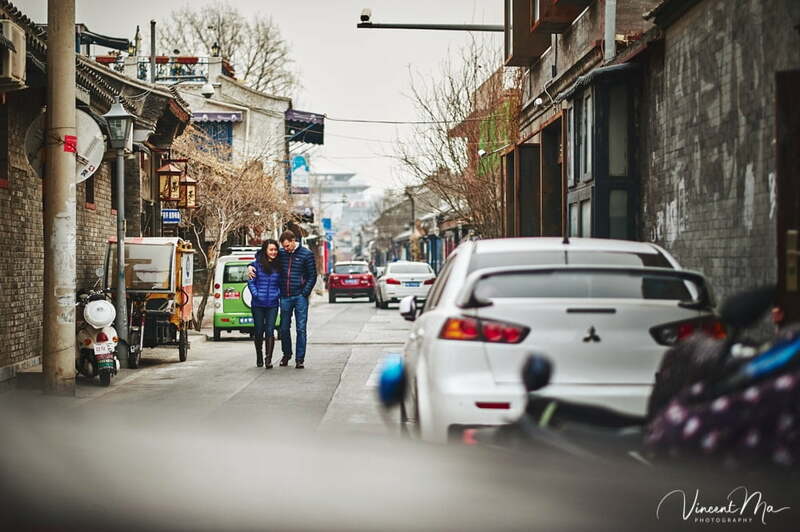 So they asked me to capture some engagement photos for their upcoming wedding, they love interesting exteriors and streets but not crowded like NanLuoGuXiang, so the first place came to my mind is the HuDaoYing Hutong. 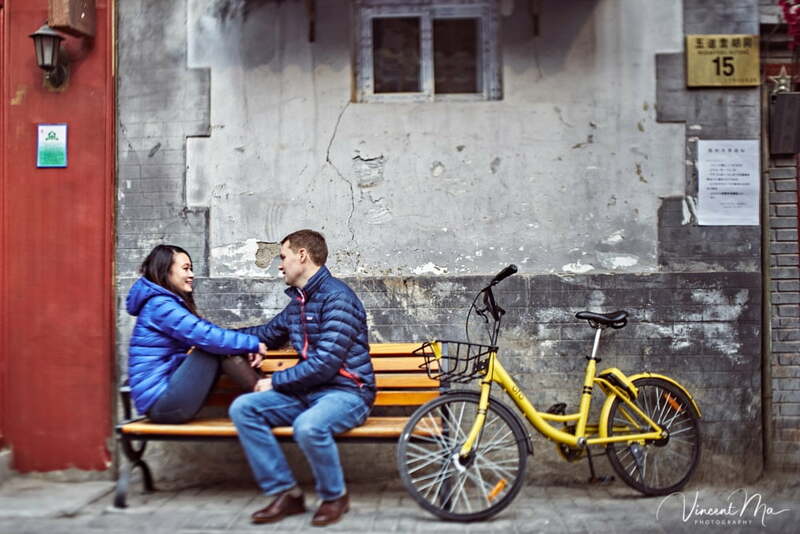 The engagement shooting went very well, although the weather was very cold on that day, their performance was awesome, nature and full of love, therefore, the candid photos turn out to beyond their expectation.